Your neighbor could already be part cyborg. It’s been two years since Neil Harbisson was declared the world’s first legally recognized cyborg after he corrected his colorblindness by installing an antenna directly into his scull. Soon, he may be one of many. Our technological ability to augment the human body with electronic devices has finally reached the point where it can solve life-threatening ailments. We are not talking about simply making life “cooler” with some new gizmo — we are talking about saving the 22 people who are currently dying every day waiting on the U.S. national transplant list. People who have had to constantly manage type 1 diabetes for most of their lives may soon have access to an artificial pancreas. The device allows users to hook up their smart phones to a sensor that continuously monitors their blood sugar – and the phone uses that information, as well as information from the user about their activity level – to tell a pump how much insulin to release into the users blood at any given moment. The artificial pancreas is currently in clinical trials to assess its safety and efficacy in people with type 1 diabetes. The pancreas is not the only organ that could be replaced with an artificial device. Many companies are investing in the development of artificial organs. According to a recently released analysis from Big Market Research, the market is expected to surge over the next decade. An implantable artificial kidney may be available to patients currently enduring dialysis by the end of the decade, according to some reports. These artificial organs, some electronic, some crafted by 3D printing with cultured cells, may be able to replace failing hearts and livers, supplant defective eyes and ears. When these technologies finally replace our woefully inadequate organ donation system, the more than 119,000 men, women, and children who are waiting for organs in the U.S. alone could finally get out of the hospital and live their lives free of fear. Artificial organs could also have the advantage of not requiring recipients to take immune-suppressants for the rest of their lives as well. Alright, in addition to saving lives, cybernetics might make life cooler with new gizmos. Leaders in the field like Elon Musk are developing technologies that will not simply restore the bodies of the sick and disabled, but enhance the bodies of the well. Musk has hinted that he plans to soon reveal his neural lace — a device that could enhance and grow with your brain that is designed to bring human intelligence up to speed with artificial intelligence. One could also easily imagine that if artificial sensory organs like eyes and ears could be designed for the blind or dead, could they not be upgraded to give people super senses as well? Cybernetics may not only increase the quality of life for both the sick and the well, but increase the quantity of life as well. Every organ we are born with has an expiration date, but this may not be so with our future cybernetic parts. 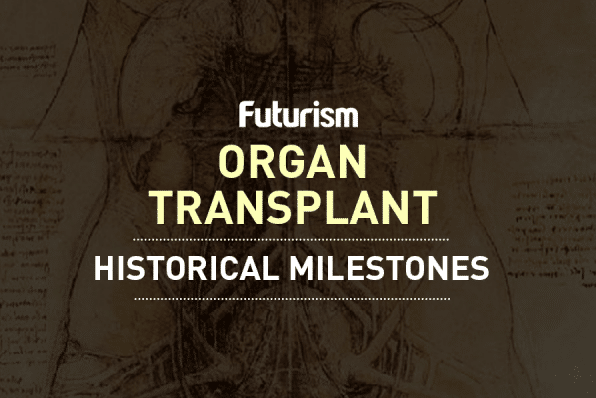 Could artificial organs and cybernetics launch us into the age of immortality? Many hope so, but only time will tell.